The Asmir Begovic Foundation held an Evening with Asmir Begovic, Petr Cech and David James MBE on 27th October to raise funds for upcoming projects. 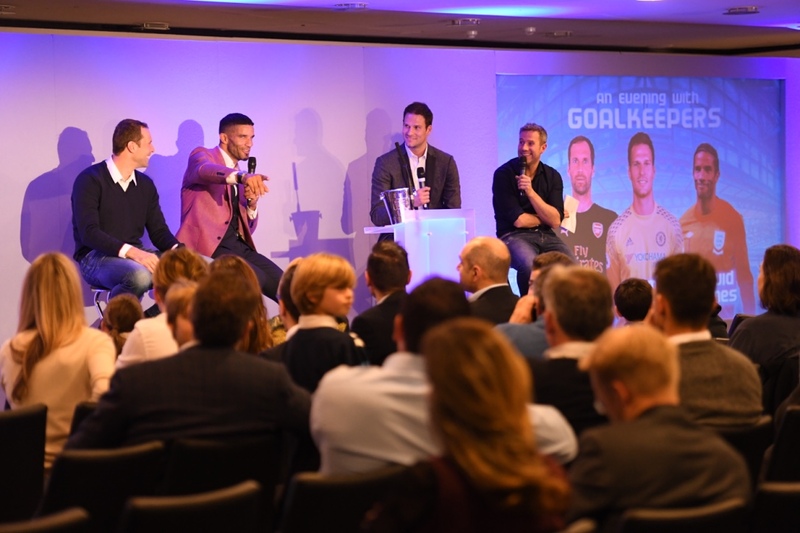 The evening was held at the Drake Suite, Stamford Bridge, where the three goalkeepers who have kept 402 clean sheets and amassed 228 international caps between them, were quizzed on their careers and achievements. Great fun was had by all in attendance, and the evening was capped off by an exciting auction of some wonderful prizes & experiences that were kindly donated to the Foundation. The ABF would like to thank Petr and David for their participation, Max Rushden for hosting, and all who were in attendance, for their support of the Foundation and our work towards helping kids in Bosnia and England have the resources to lead a healthy life.